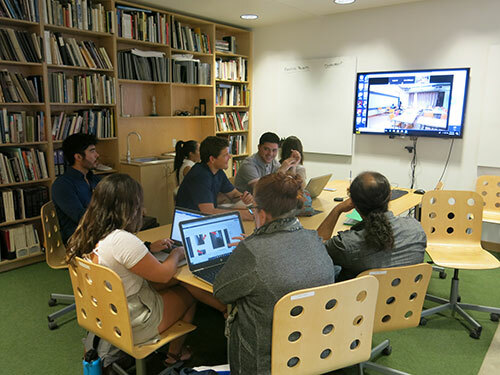 Three additional HIVE classes, focusing on natural resources, sustainable design and computer engineering, launched this fall. Chalfoun is leading an environmental science course, while Rachel Gallery, an assistant professor in the School of Natural Resources and the Environment, is teaching on natural resources ecology. Salim Hariri, a professor of electrical and computer engineering, is leading a class on distributed computing systems. All HIVE programs at the UA in 2018 will operate in the English language. As a proficient speaker of Arabic and Persian, Ellison-Speight is acutely aware of the power of language, but said the emphasis on other disciplines is a benefit to the HIVE program. Patricia Horn, who is working toward a master’s degree in design and energy conservation at the UA, said HIVE was a good way to gain experience in an increasingly global marketplace. 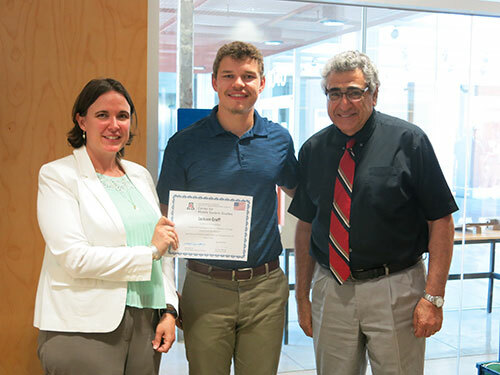 The UA applied and received funding for the year-long HIVE program through the Institute of International Education, which distributed the award on behalf of the Stevens Initiative. Named for the late J. Christopher Stevens, U.S. Ambassador to Libya, the effort seeks to transcend political and financial boundaries by uniting students from the U.S. and the Middle East through technology.